This entry was posted on Friday, September 23rd, 2011 at 16:45 and is filed under Culture, Law, Politics. My daughter has asthma. The ban was a huge boon for big pharma. They got to change the formula for the inhalers, thus again holding the patent and preventing the competition a generic drug poses. Inhalers harming the ozone? Give me a break. Millions to big pharma is more like it. Another example of the crony capitalism Sarah is talking about. How much raw political power they exert to have the govt put their competition out of business so they again hold a monopoly. Right on the money again Mark America. In a nation that increasingly ceases to honor God, men will look for false gods. It's not the Presidency that is their false god, it is this man. 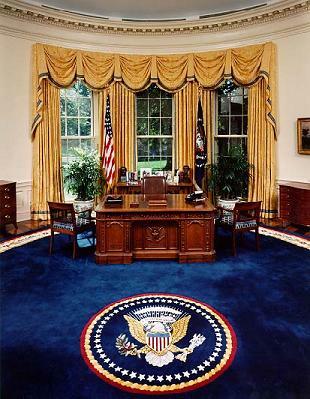 A conservative in that office would be the devil but when one of their own is lifted up, he becomes their god. In their futile search for God, they will not find Him, for they are of their father – the devil. I agree that what is needed is a devolution of federal power, but am concerned that if it is done slowly, the movement will be easily stopped. Voters have a great motivation to change things now that they are faced with economic collapse, but will lose that motivation and involvement once the economy is freed up enough to begin growing again. Perhaps the time is ripe for big changes. Maybe a constitutional amendment or two. Wouldn't it be nice if every federal agency had to be renewed by independent legislation every 5 to 10 years, or face sunset. I just watched a clip (link below) with Morgan Freeman on Piers Morgan's show stating the GOP and Tea Party are racist since Eric Cantor stated that Obama would only be a one term president. It is not about racism, it is about his ideology, policies, debt and his direction of where he is taking the country.